Set aside emergency money for unforeseen expenses. Quiz: How Well Do You Know Your Supermarket Prices? Although it’s easy to plan for expenses like sending your teen to college or future family vacations, some situations arise without warning. Your child might end up with an injury that isn’t covered by insurance, your furnace might break down on a cold winter’s day or you might even lose your job. To avoid financial problems on top of unexpected repairs and other needs, it’s best to have an emergency fund. Personal finance expert Dave Ramsey has recommended in his books and radio show that people save an emergency fund with three to six months’ worth of their personal expenses. This cushion can help protect you from having to take out a loan, tap into your savings account or borrow from your retirement. Check out the following tips to get started padding your emergency fund. Many of your favorite retailers have rewards programs — if you’re not already enrolled, now is a good time to get in on the action. Elledge recommended points programs like ShopYourWay.com, which has numerous business partners. Chances are, you probably don’t watch most of channels that come with your cable subscription, so get rid of it to boost your emergency cash. If you’re really committed to building your emergency savings fund, you won’t mind dedicating some of your free time to earning extra cash to feel financially secure. It’s always exciting when extra money lands in your wallet. Instead of splurging on fancy dinner or an expensive handbag, stow the cash away for the future. Saving for emergencies is all about making sacrifices now so you don’t suffer a financial setback when faced with an unplanned expense. Fill your emergency fund with cash by purging your home of clutter. Cleaning house is a great way to stay organized as you simultaneously earn extra money. Overspending is easy when you pay with a credit card because you can charge it even if you don’t currently have the funds to cover your purchase. Increase your emergency savings by paying with cash to decrease your spending overall. Heading to the store without a clear plan in mind is an easy way to ensure overspending. It’s too easy to get carried away and leave with a giant bill — and nothing you actually need. In some cases, you might have to deviate from your grocery list, but that’s not necessarily a bad thing if your last-minute substitute will save money and leave you with more cash for your emergency fund. It feels great to look at your receipt and know you saved money. Incorporating this savvy strategy into your plan to boost emergency savings can help you increase funds — and fast. If you’re like many people, accruing credit card rewards is one of the main reasons you pay with plastic. Instead of mindlessly spending your points, work them into your emergency savings plan. Gross said his team of professional negotiators can help individuals save up to $1,500 per year or more on their monthly bills — including those for cable and satellite television, phone service, and internet. Whether you hire the professionals to reduce your bill or negotiate it yourself, you could add some serious cash to your rainy day fund. Saving for emergencies by investing in a mutual fund is easier when the money is automatically taken out of your account. Before long, you won’t even notice the money is gone — and your emergency fund will be flush. When it comes to personal financial planning, it’s a lot easier to part with the money you put in savings when you take on the mindset that it’s just another bill. Instead of looking at saving as an optional move, think of it as a mandatory expense. Buying holiday gifts for each of your family members and friends can be both expensive and exhausting. “Instead of buying gifts for everyone, try to get the family to agree on a Secret Santa where all you need to do is buy one gift,” said Eisenkraft. When you only have to purchase one gift, you’ll have plenty of extra money to put in your emergency fund — and more time to enjoy the happiest season of the year. Plus, odds are that many of your loved ones will be grateful that you spoke up and put a limit on this year’s giving. Of course, no one expects you to go without your daily caffeine fix. Simply brew a pot of coffee at home each morning to increase both your energy level and your emergency savings fund. If you tend to pay your monthly cellphone bill without looking at the charges, it’s time for a much-needed review. After building up a solid emergency savings fund, go back to paying off your federal student loans if it makes sense for your current financial situation. Wanting to live debt-free is admirable, but establish a comfortable nest egg first. Instead of taking out emergency cash loans for unexpected expenses, make use of any additional space you have in your home. Earn money for your emergency savings by putting that extra room on Airbnb. Site users choose from all types of spaces — including shared rooms, private rooms and entire homes or apartments — and the amount of money you can earn depends on your location and the type of space you offer. For example, according to Airbnb, Los Angeles residents could earn an average of $596 per week just for sharing their homes. It never feels good to pay for services you aren’t using. Saving for emergencies in this way ensures you won’t miss the money because you were already spending it — just in the wrong place. Grocery shopping is an expensive, yet essential task. Fortunately, there are ways to ease the burden. “Anything you can do to cut down on that grocery bill can make a big difference,” said Leonard. She emphasized the value of growing a garden at home by noting the USDA statistic that families of four spend an average of $1,000 per month on groceries. 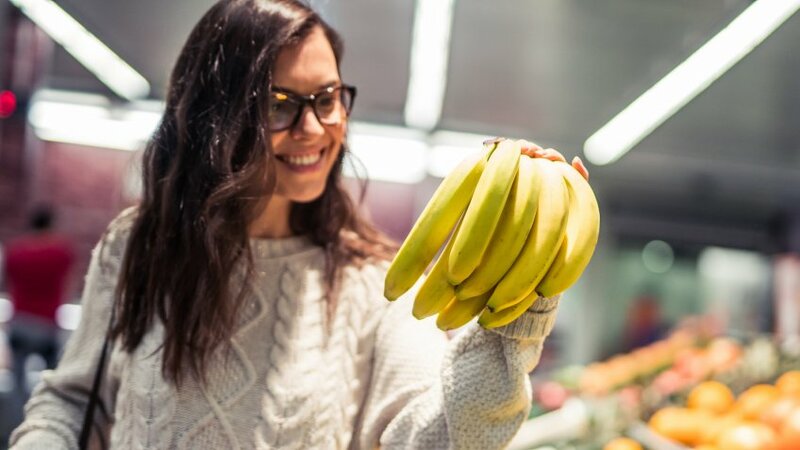 Watch this bill shrink when you can decrease the amount of produce you need to buy. Swapping the treadmill for an outdoor run will allow you to explore your local community while getting your exercise in. This personal finance tip is an easy way to add money to your emergency fund without changing your lifestyle habits. If you’re paid biweekly, you’re well aware of the magical third paycheck you receive twice per year. “When you do receive a third paycheck in a month, put the entire thing towards savings, period,” said Brian Davis, co-founder of SparkRental.com. Knowing exactly how to allocate the funds can be confusing, but don’t worry: Your other two paychecks should cover your monthly expenses. Depositing this entire paycheck in your emergency savings is a quick way to boost your account balance to a healthy level and avoid having to take out any emergency loans in the future. Open a high-interest savings account to put money aside for your emergency fund and enjoy two-fold benefits — a safe place to keep your money where you won’t be tempted to spend it and the ability to earn interest on your balance. Instead of automatically opening an account with your local bank, shop around to find the best available rate. Do your homework to make sure the account doesn’t come with monthly maintenance fees or account minimums that you can’t meet. And, since you’re saving for emergencies, make sure there’s a way to access your funds quickly if needed. Saving for emergencies is much easier when you’re not going out for dinner and drinks every night. Cutting these expenses can seriously inhibit your social life, however, so get your friends on board first. If you must go out to eat or meet friends for drinks, schedule your outing during happy hour. Typically held between the hours of 4 p.m. and 7 p.m., happy hours regularly feature deep discounts on food and drinks. You can get the same menu items people will pay full price for later in the evening, at a fraction of the cost. Calculate the amount you saved by going out early and deposit this sum in your emergency fund. In 2016, JPMorgan Chase, Bank of America and Wells Fargo garnered more than $6.4 billion in customer ATM and overdraft fees, according to a report by CNN Money and S&P Global Market Intelligence. That’s $300 million more than was collected the previous year. Fees vary by bank, but regardless of the amount, wasting money you literally don’t have never feels good. Get what you need without paying extra fees by shopping far in advance. Planning ahead ensures your item will arrive on time by the most affordable shipping option available. Certificate of deposit accounts might not seem like great emergency funds, as most aren’t known for being liquid, but some accounts can actually be effective savings options. Find a no-penalty CD that allows you to withdraw money when you need it. These nontraditional CDs, such as the one offered by Ally Bank, offer competitive rates that will help you grow your savings even higher while the funds are sitting in your account. Sure, your rate might not be quite as high as one attached to a traditional CD, but the benefit of not having to pay an early withdrawal fee far outweighs this slight downside. Add up all the money you save on each shopping trip by opting for generic products, and deposit it into your emergency savings fund. Trading in your traditional account for a checking account that earns interest is an easy way to raise money for your emergency fund. Just be sure to conduct plenty of research and read all the fine print to make sure the account doesn’t require you to pay monthly maintenance fees or meet a monthly minimum. After making the switch, you don’t have to do anything to earn monthly interest payments. Check your monthly statement to see how much you earned and transfer this amount to your emergency savings fund. The average cost of a movie ticket is $8.89, according to Box Office Mojo, whereas the cost of renting a Redbox movie will only be $1.50 as of Dec. 2, 2017. Ultimately, you probably won’t remember where you saw the movie in a few months anyway, so take the economical route and bulk up your cash savings by viewing flicks at home. If you’ve had the same insurance policies for three years or more, it’s definitely worth seeing if you can score a better rate with your existing provider or a competitor of equal stature. If you have dry-clean-only items in your closet, try to wear them a few times before taking them to the cleaners. Save money in the future by only purchasing clothing that can be laundered in your washing machine or by hand. This technique can also be used for tickets to events such as concerts and theater shows; just be sure to comparison shop before paying face value. And use a legit site like ScoreBig, StubHub or the Ticketmaster fan-to-fan resale site so you don’t fall victim to a scam. Later, deposit all the money you save directly into your emergency savings account. Smoking is an expensive habit that can quickly fund your emergency account when you quit. Smokefree.gov has a helpful calculator that reveals just how much money you’ll save over the course of 20 years. For example, if you cut down to smoking 10 cigarettes per day at Fair Reporters’ reported $5.51 average cost per pack, you’ll save $82.65 the first month, $1,005.58 the first year, and an astounding $36,990.67 after 20 years. Instead of heading to Walt Disney World for the third time, cut costs by planning a staycation instead. Fox Business reported that staycations are a great way to save money and stick to a budget. Look for free activities, area attractions you have yet to explore, and spend time outdoors enjoying a picnic or playing sports as a family. Use any money you would have spent on the vacation to pad your emergency fund. In addition to thrift shops, there are organizations like Habitat for Humanity that have opened up store locations they call “re-stores.” These facilities sell everything you could want for your home in excellent condition at a fraction of the price. If a rocking chair was going to cost you $500, but you got it for $150 at a re-store, you’d be able to put $350 of emergency money away. There’s no need to spend a ton of money on books when your local library will allow you to borrow the books for free. Many libraries even take requests should there be a particular book you have an interest in that isn’t currently found on the shelves. Check with your local branch for extra freebies, like movie rentals, cooking classes, and special events for kids. See how this man bounced back from a major setback. Put money back in your pocket by buying these deals on Amazon.